We are back to paper piecing stars for the next couple of Mondays. I am only a few stars away from finishing the blocks for my quilt and with that in mind I present to you block 18 of my quilt. A gentler star than some in the previous weeks, the pattern is again from Carol Doak’s “50 Fabulous Paper Piecing Stars“. The Nebraska star is a simple 48 piece block. It would make a fun scrappy star as well, though with this one I went more uniformed. Now only two more to go. 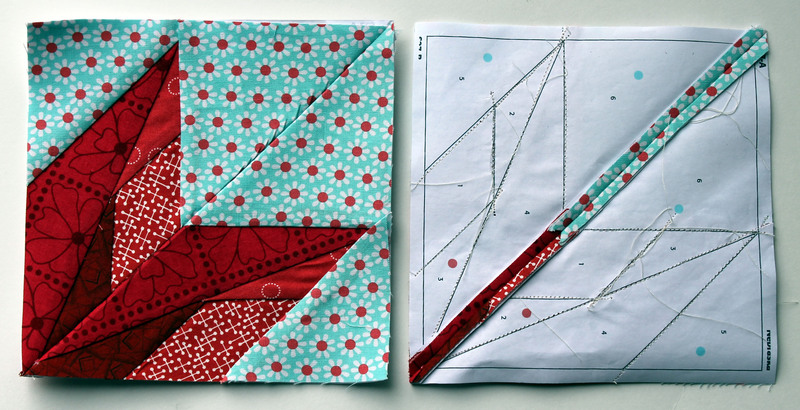 I am excited to get these quilt blocks finished so I can start playing with quilt layout. Do not fear that paper piecing Monday is going anywhere – I already have a couple of ideas for the next round. 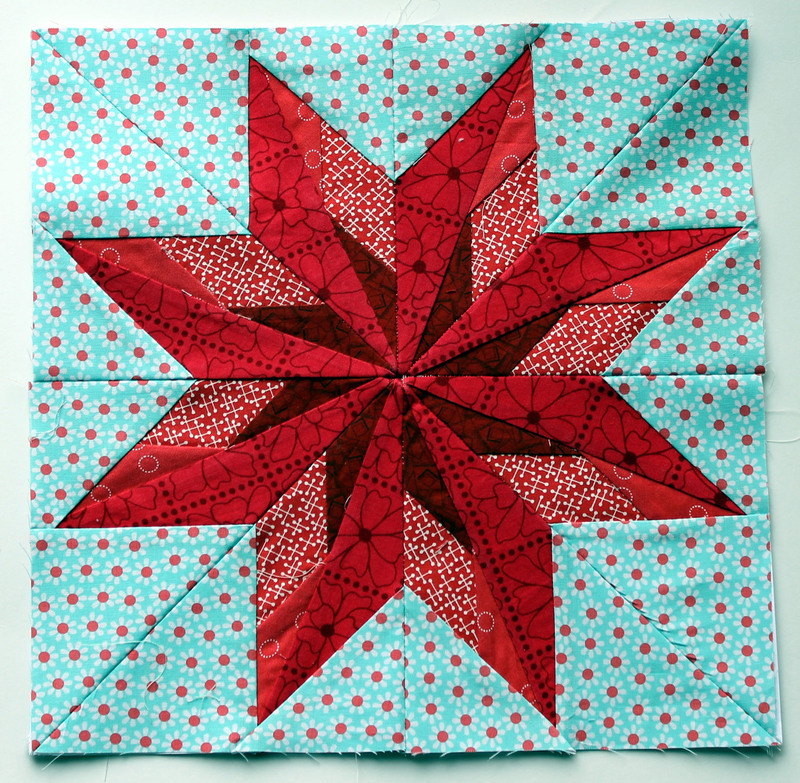 I know it seems strange but this block was soooo simple compared to some of my other Paper Piecing Monday stars…. Hi Christine. This pattern is available in Carol Doak’s book 50 Fabulous Paper Piecing Stars. This book is available on Amazon and is the only place I have found the pattern. I have to say the book is worth it’s price tag as it is full of the most amazing star patterns so easy, some complex but all of them fabulous. Thank you, have purchased book. Only have to wait for it to arrive. I hope you have as much fun with it as I have. It really has become my go to book. Do you have advise on how to get middle less bulky? I’m working on the Tennessee Star, but Carol did not address in the book and I can’t find the cd that came with it.